(CNS): A number of concerns have already been raised by enforcement agencies that, while protecting the farmed turtles, the recent price increase could put the wild turtles in greater danger from poaching. There are currently only eight valid legal turtle fishing licenses in the Cayman Islands, but poaching of turtles from the wild is not uncommon, especially among some of the community’s drug addicts, who often poach a range of marine life to fund their habits. The move by the Cayman Turtle Farm is to reflect the real cost of farming the marine creatures and to protect the future of the farm, the new managing director said on Friday. Sources in the police service and the director of the DoE have warned, however, that while the price increase may be welcome for some reasons, it may also have ramifications for poaching that will require considerably more resources to protect the endangered wild turtle population. Police sources have told CNS that when the legitimate price of turtle meat increases, the price on the black market will also be driven higher, making the meat a more attractive proposition to poachers, who will be more willing to risk catching the creature in the wild if they can secure a better price for their illegal quarry. Many poachers caught by DoE and the RCIPS Marine Unit are more often that not drug users, who turn to the ocean as an easy source of income for drug money. Therefore, any move that affects prices of illegally caught fish or turtle will attract the poachers and place marine life at risk. The director of the DER said that the price increase on the one hand is to be welcomed if it makes people think twice about consuming the endangered creature and buys the farm time to work out what the problems are with the breeding and survival of hatchlings. On the other hand, it is likely to trigger more poaching. With a tight budget and resources already pushed to the limit, Gina Ebanks-Petrie explained that it would be very difficult for her department to step up the patrols to match a likely increase in poaching. Price increases could see poachers getting braver and attempting to take more turtles from the wild, and without an increase in enforcement resources, it will be difficult for the DoE to address a rise in numbers. Concerns have alos been raised about the TurtleFarm’s own security and protection of its own stocks as the facility has had a number of problems in the past of turtles going missing from the farm. The price increase was announced by the new MD Tim Adam, who after only nine days on the job made the decision to triple the price of meat. The idea of a significant price increase has been in discussion at the facility for several years but Adam appears to be the first MD willing to bite the bullet and make the tough decision, which he said was a difficult one. In a statement on Friday, he said that the price to produce the turtle was far higher that the price of the meat and the facility was constantly losing money. He said it was the first of many tough decisions that he would make in order to protect the future of the breeding programme and the farm in general. The price of turtle steak was increased on Monday from $9 per pound to $27, turtle stew from CI$5.40 per pound to CI$16.00 per pound, turtle menavelin from CI$4.00 per pound to CI$12.00 per pound, and the bone from CI$2.00 per pound to CI$6.00. The turtle farm has just painted targets on the shells of every turtle in the Cayman Islands. Why didn’t Joey raise prices some when he ran the operation? We all know what he was doing. As a tree hugger it saddens me to think of all the poaching that will happen in and around Grand Cayman. The law should be changed to not only make the poacher guilty but the purchaser of poached turtle meat also guilty. I know …I know, I am dreaming. As an expat on this island i am appalled by how concerned Caymanians are with their Big Guts with all that is happening on this island. As i listen to the radio talk show host Austin going on and on about hisTurtle meat dinner and yet their is no outrage when the horrific details of a brutal murder of one of their own Caymanians is played out in the media and the fact that all be it for her friends who had to go out and try to get justice for this pooor child. No one seems to be outraged, their only concern is for the killing of endangered turtle meat prices No wonder this place is sooooo messed up.What a crying shame i tell you.They cant blame expats for that one? CNS: I think most people are outraged by the crime but it’s not a good idea to discuss ongoing trials in the media, which is why there is no comment box on reports on the trials on CNS. However, when it’s over, I’m sure there will be plenty of dicussion on CNS and the talk shows. If was want to hear no calls made into a radio talk show have the topic be domestic violence. In fact I recall going to a movie where a husband hit an unfaithful wife and large numbers of the audience cheered. Put a moratorium on catching Turtles and be done with it. Time to come out of the dark ages people. These things are endangered. Go eat some green iguana. I have tasted turtle before and it is similar to beef. Do I eat turtle, no. To the turtle eaters…be careful before you eat this tradition to extinction. Don’t think it’s possible? Take for example the Dodo, these flightless bird’s extinction in the mid-to-late 70s was as a result of human activity (hunting and bringing new predators to the habitant). If you enjoy turtle meat so much, would you not want to conserve it so that future generations could enjoy it too? We don’t back sand to our yards every xmas anymore. We don’t grow our own fruit and vegetables as plentiful as we used to anymore. We don’t buy from farmer’s market anymore. We don’t make our toys anymore. We don’t know our families and neighbours anymore. Some of us may do these things, most of us don’t. Was there any uproar when these traditions started to slip away? I’m not sure, it was a little before my time. You’re talking nonsense. Do-Dos are not extinct nor even endangered. The civil service employs thousands of them! I see no problem continuing the "tradition" of eating turtle. If this is such a strong part of Cayman heritage everything should be done to preserve this cultural activity. Just as long as the "tradional" method is used in capturing these (now very endagered!) animals. I guess this means you will have to walk over to Northside to cut down some trees with a traditional hand saw (no fancy chain saws please!) You can then build your cat boat with all the hand tools you have preserved as part of this very imortant historical activity. Sail or row to North West Point and do your turtling and then bring it back to the beach where you will build a fire and cook this turtle in the tradional manner, please remember to uphold all the tradtional trimmings. No mozzie spray! I doubt this will happen so if you are so quick to give up on all the tradional methods of getting your turtle meat then I think you should look seriously at giving up the most desrtructive part of the tradition and, just stop eating these very threatened animals! It has been proven many times now that farmed animals are not good for your health no matter the cost, whether they be turtles, cows, pigs, chickens, turkey’s, salmon etc.etc. because of the artificial food they are given, usually loaded with fortifying components, growth hormones, anti-biotics etc. Japan has started to farm ‘replicate" the blue fin tuna with very little success to date also in an effort to prevent natural extinction. What you eat is your business but take a hint from nature as it may be very wise to consider not eating meat anymore or at least minimal. Better for you and much better for the animals. Conservation laws must be honoured in the way is was intended, no exceptions. If that means no turtle for the next 10 years or never again would be better, so be it. I really hope people are honouring the conservation law for groupers too! Also remember that animals only eat what they need, domestic and wild, which makes them a lot more humane then humans. The Turtle Farm was a good idea when it was implemented, but then the DOE stepped in and claimed that the Turtle grass which is the green turtles natural diet was going to become extinct so the food was switched to the poisonous pellets they now eat. The truth is the Turtle produced by the farm dont even taste like wild turtle and is a waste of money both breeding and consuming. The fat of the wild turtle has a different colour and texture to it and was used to cook the meat which made it an economical meat to eat since it only required salt and spices and a little water to cook it. There is plenty turtle in the wild. Problem is they have special geographical areas where they congregate and that happens to be in the areas where protection is poorly enforced. I can remember stopping at Aves Island as a young man and catching as many as 50 in a single night. Then the Venezuelans built a Fishing Depot on Aves Island and the Turtles disappeared. The species that was believed to be coming extinct was called the Ridley and the Cites convention protecting the Ridley came about right around the time that the Turtle Farm as it was previously known came in to being. Why is it that every other nationanilty can come to Cayman and do as they please, eat what they want and serve whatever Lord they serve. Yet our Caymanian culture is being taken from us everyday. I would rather eat what my country produces (and what my family cooks) than to go out to restaurants and dont know whats going into my food. I am SICK of CAYMANIANS being put on the back burners. To those of you who dont eat turtle, thats your prerogative, cause eating turtle is MINE ( and many more). Nobody is stopping you for eating your turtle. You’ll just have to pay fair market price for it going forward. Why should 53,000 taxpayers subsidize 7,000 people who think it’s their God-given right to eat turtle for less than fair market price. Rare/exotic foods, some of which are traditional foods, fetch a premium price all over the world. Why should turtle be any different. The whining by some Caymanians on this issue just shows the sense of entitlement goes far beyond just jobs. The current 8 licenses. Take them away. Anyone caught removing Turtles from Cayman waters receives a substantial fine and severe community service spent in further conservation efforts. Perhaps it is because I have never had turtle meat that I cannot fully appreciate the angst that this issue is causing. However, this seems to be yet another area where the "entitled Caymanian" mentality is manifesting itself. Simply because it has been done in our history does not mean that it can and will happen in perpetuity. Things change, times change, and a little bit of self-control and environmental conciousness can go a long way to ensuring that these changes are for the better. I love you Noni Mouse….. There’s a vegetarian sprouting up everyday! Ah yes, then someone should ask why the AG has apparrently refused to prosecute someone in the Brac caught with loads of turtle eggs because it is"not in the public interest" but goes beserk on a policeman who lets someone off for a much lesser offence. Double standards? Lovely tasty turtle. I see that picture and I want to eat it. 1. If you want to continue the turtle farm and sell it as a conservation effort to tourists – try to hide the fact is indeed a farm. I hear from horrified tourists all the time, they are confused about this tourist product. They visit the park, learn about and pet the turtle and then see turtle burgers on the menu…not very appealing to say the least. 2. Keep the price of turtle meat low and only sell to Cayamanians. Visitors wanting to try the meat really don’t need to, it’s a waste. Most of the curious won’t even like it. 3. Re-negotiate your profit margin with the Cruise Ships and work on building your local customer base. 4. Investigate further if it is even worth it to release turtles. What is the survival rate? Are your turtles carrying good genetics? Would it be better to release hatchlings or yearlings? 5. Realize that feeding an animal a diet to fatten them up will not promote good productive health. Reproductive health is a good measure that an animal is healthy, if the turtles aren’t breeding well something obviously needs to change. You have a lot of help hear, so I hope Boatswains will take the advice from the experts on nutrition. 6. Work on education at schools about turtles and try to phase out turtle meat consumption in Cayman. After number point number 5, maybe then Boatswains Beach can take on a true conservation role and begin repopulating the wild turtle population. Caymanians will say it’s a cultural thing eating turtle, but if it is why don’t we focus on getting the wild population back so the real act of turtling could be granted by license. Isn’t it about art of fine ship building and learning the skills of seafaring from your ancestors?…Nope it’s just about going to the turtle farm and picking up the steaks. That doesn’t say culture to me at all. If turtle meat is to be sold we need it priced low and well controlled with receipts so that DoE can prosecute the poachers. And if we really want to see true conservation we need a complete ban all together on turtle meat…hopefully in good time. Also change the name, with the name Turtle Farm people understood what it was about, with the new name the americans can’t even pronounce it and they go there expecting access to the beach! And who can blame them, honestly, when it says beach on the name. 1. Sell annual passes to residents as they do in Florida. It would encourage residents to bring guests and visit for an hour if they are passing. Once inside then they are likely to buy from the bar, gift shop etc. 2. Allow visitors to buy food for the wildlife (not just turtles). I am sure this would raise money but the amount of food sold could be regulated to ensure a correct diet. 3. Have staff be more informative. When I have been there at the feeding time there was no commentary or information given out. Again learn from the Disney/Sea World approach. There are 8 valid turtle fishing licences? Really? Why? If this is an endangered species why would the Government issue licences so that individuals can kill them? That’s bizzarre. I bet the American government doesn’t give licences to kill bald eagles (and I bet Eagle tastes way better than turtle…). 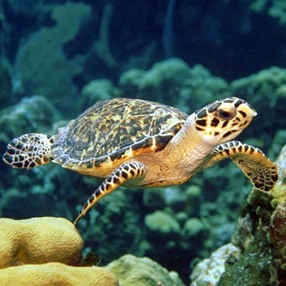 Most of those Licences are probably issued to Brackers because Turtle in the Brac are not considered endangered. They are really extinct so the Licence earns money for Government but the Brackers have no Turtle to catch. They sets their nets with wooden turtles called cooting bouys. When they check the nets they always have what appears to be Turtle in them, but they are artificial and made of wood. Wonder how the wooden one taste.